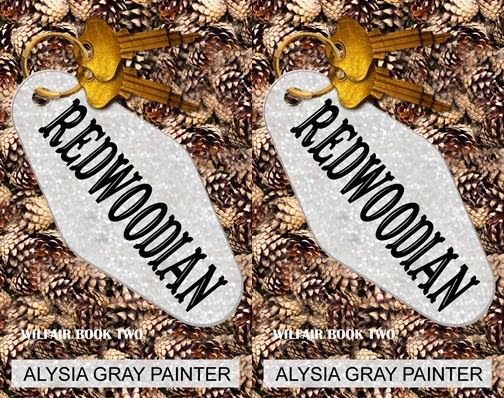 If you read "Redwoodian" then you'll know what I mean when I say this upcoming book is Redwoodian x 2. To be clearer, though: "Fairwil" has turned out to be roughly twice the length of "Redwoodian." Did I plan this? Mostly, yes. I thought I'd keep writing books about all the hotels mentioned in the Wilfair series -- The Yuletidery, Funeral Inn -- but because I'm stopping after "Fairwil" things have grown a little... plump. In short, there's a good deal of wrapping up to be done. It also means that I'm dealing with a book that's notably longer than any other book in the series, so that's taking a little extra time. I'm going to give some of that extra time, too, to my editor, who may be a little surprised by the length. And delighted, I hope. I keep warning her "this book is stuffed with confetti and sweaty palms!" Now you've been warned, too. Personally, I like warnings that involve festive party decorations and hot crushes. 2. Post the first few chapters off-blog in the coming days, while it goes to my editor. I'll post a link here to the chapters and you can decide if you want to go peek or not. Also, have you ever read Siobhan Dowd's "Bog Child?" It's an interesting book, very different from "Wilfair," but features a physics nerd who actually has a relationship daydream about atoms. I thought you'd appreciate that. If I had to name my two favorite things of all time, I'm pretty sure they'd be "festive party decorations" and "hot crushes."